International food commodity prices dipped in October, as falling dairy, meat and vegetable oils prices more than offset a surge in sugar prices. The FAO Meat Price Index averaged 161.6 points in October, down 3.3 points (2.0 percent) from September and 11 points below its value a year ago. In October, the prices of all main meat categories represented in the index eased, with ovine meat falling the most, followed by pigmeat, bovine and poultry meat. After four months of continuous strength, ovine meat prices lessened, underpinned by the availability of new season supplies from Oceania. 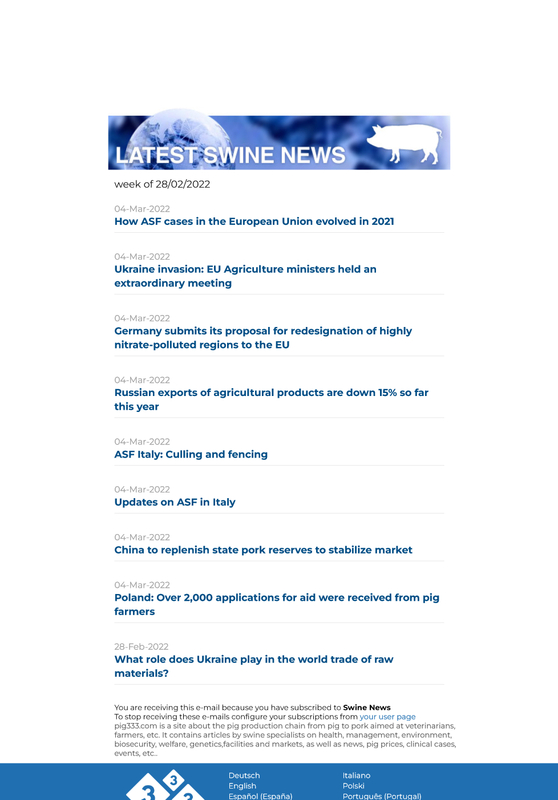 Import restrictions associated with new cases of African swine fever, coupled with large export availabilities from the main producing countries, continued to weigh on pigmeat prices. Bovine meat prices declined for the third consecutive month on continued abundant export supplies, while the current market sluggishness weighed on the prices of poultry meat. 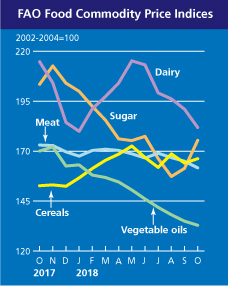 The FAO Vegetable Oil Price Index fell by 1.5 percent, its ninth consecutive monthly drop, to reach its lowest level since April 2009. The latest slide was mostly driven by sluggish global import demand for palm oil and large inventories held by the commodity's major exporting countries. International soy oil prices increased slightly. Friday November 2, 2018/ FAO.